The last few days have been busy. It is that time of year, getting the classroom ready for back to school. Anyway I have been reading through my bouts of insomnia but not really writing reviews, so now I will try to play catch up with some brief reviews. 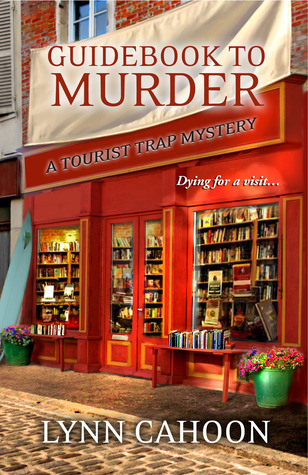 Lynn Cahoon’s books Guidebook to Murder and Mission to Murder were purchased on my Kindle. The first one, Guidebook, was discounted and I liked it so much that i purchased the second one and read it straight away. This series has a tried and true cozy theme, a coffee and book shop, but it does not feel tired in this rendition. Lovely California setting, a place I am not familiar with and I don’t think I have read too many cozies set there. Interesting characters especially as the series progresses in book 2 and her Aunt becomes more important Nice romantic element that is developing from book 1 to book 2. I enjoyed these two books and look forward to reading more in the series. 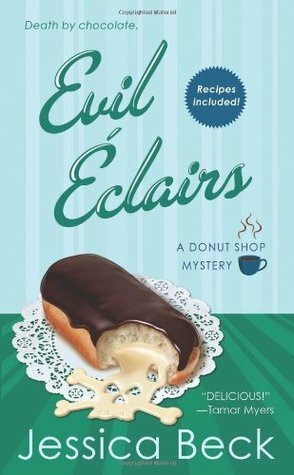 Evil Eclairs is the fourth in the Donut Shop Mystery series that I am thoroughly enjoying despite myself. I am one of the terrible people donut shop owner Suzanne Hart would not want to deal with in that I really don’t like donuts. It says a lot about the quality of the series that I can enjoy it even with a theme that does not appeal to me at all. The characters of Suzanne, Grace and George are fun to read about and make a great crime solving team. The addition of George as a sidekick is one of the aspects of this series that I really like. In this outing, Suzanne’s livelihood is threatened by an obnoxious shock jock type of DJ, who ends up dead right after an argument with her. Suzanne wants to solve the murder to protect her business and her reputation . 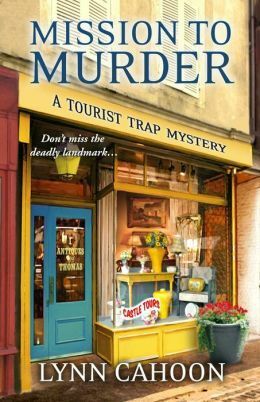 Well written, fun to read cozy mystery. 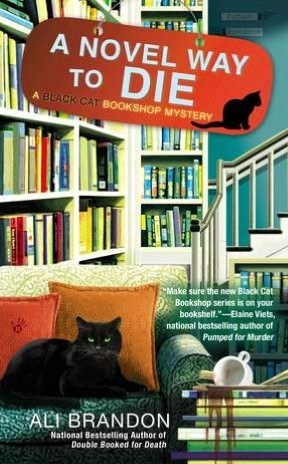 A Novel Way to Die by Ali Brandon is the second in the A Black Cat Bookshop Mystery series. The black cat is Hamlet, the bookshops mascot and arbiter of employees. Another bookshop cozy, yes I know, but this is a well written series with great characters, reminiscent for me of the early Dido Hoare series, which seems to have dropped off the face of the earth. We have a new addition to the cast, he made a tiny appearance in the first book but features much more prominently here and seems to be set to be a recurring character. James as the retired professor turned bookseller is excellent and Darla is an interesting sleuth with ideas of her own, although she does tend to jump to conclusions. The mystery is well done, but i suspected who did it early on. This didn’t stop me from enjoying the story as it was told. There is a twist very near the end that I didn’t see coming and I am still not sure how I felt about it. It seemed a little jarring, but maybe that was just me. Delightful feline and book cozy mystery. 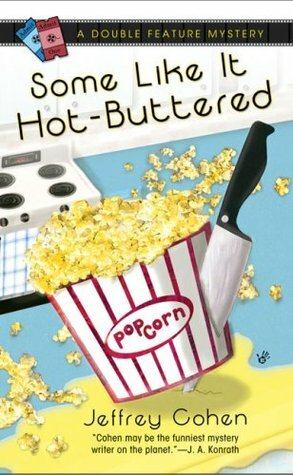 Some like it Hot-Buttered by Jeffrey Cohen was a total impulse buy. I was at my local bookshop and a friend was turning in her books so I sorted through and grabbed a couple, including this one. If I had take more time, I probably would not have bought it. The book centers around a divorced man, who purchased an old theater and is using it to exclusively show comedies in pairs, a classic with a current. Needless to say this is not a huge money making operation. A patron dies, an employee is suspected and the mystery takes off. It was just not my type of humor, the main character Elliot is the king of the one-liner and often lets loose with them, if not out loud, then in his thoughts. I just didn’t find it all that funny. To be fair, I’m not really a reader or watcher of much comedy, so this is probably just be my lack of appreciation. Hi. I have nominated you for the Liebster Award. Thank You! This looks like fun.